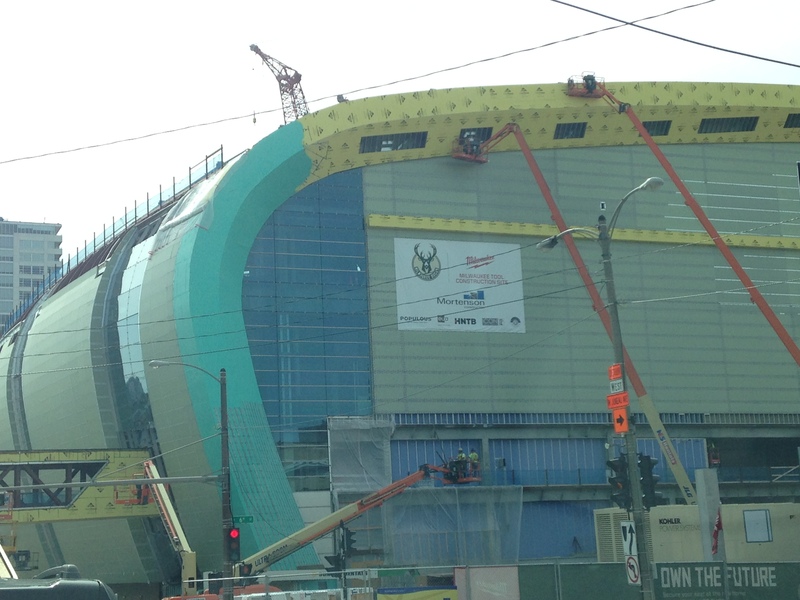 I spotted the new Milwaukee Bucks Arena on the way to Starbucks for coffee this morning. Do you see it? 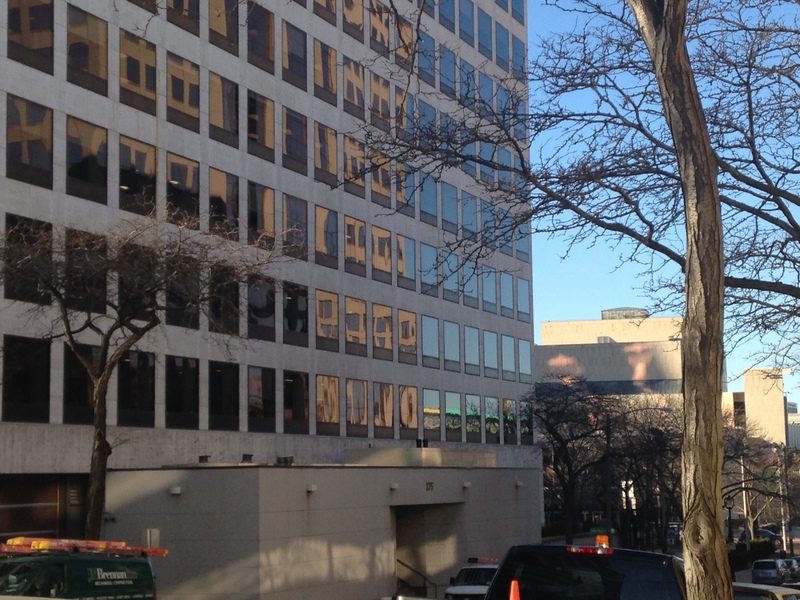 Only because I remembered that rather striking turquoise-and-yellow color combo from summer did I realize what I saw reflected in the office windows this morning. 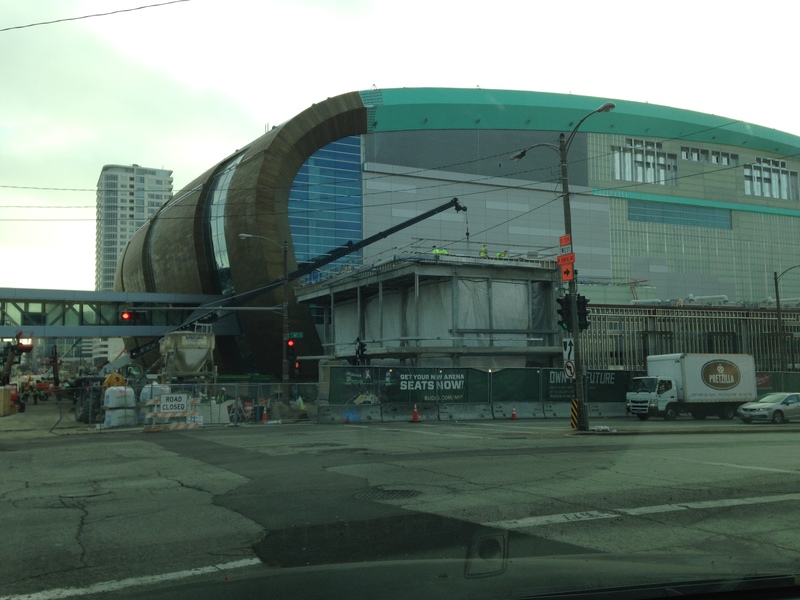 That new arena is coming along pretty rapidly! This entry was posted in architecture, Milwaukee, Photography and tagged Downtown Milwaukee, Milwaukee, Milwaukee Bucks arena, office building reflections. Bookmark the permalink.